Boo at the Zoo will be Wednesday, October 31, at the SF Teaching Zoo. October 3, 2018 – The Santa Fe College Teaching Zoo will be holding its annual “Boo at the Zoo” event Wednesday, Oct. 31, 2018, from 3 – 7:30 p.m. 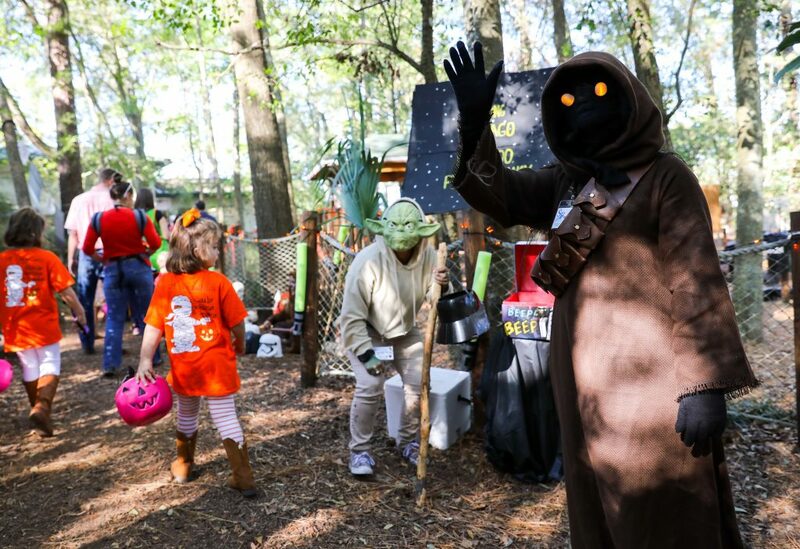 Visitors can come in costume and walk the quarter mile long trail transformed by the SF Teaching Zoo’s students and staff. The zoo is also wheelchair and stroller accessible. Please do not feed the animals, or the people dressed like animals. Although you can dress up like your pet if you want to, pets are not permitted at the zoo. Please stay on the pathways and respect any barriers even if you can fly or are a ghost that cannot be restrained by this dimension. If you are coming to the zoo at 6 p.m. or later, it is recommended that you bring a flashlight with you to help navigate the trails. Please keep all wigs, tails, ears, wings, capes, fins, eyes and other costume accessories on at all times. And please, place all litter (that includes candy wrappers) in the proper trash receptacles.